3/30/16 - Students in Kindergarten and First Grade collaboratively installed, painted and used rain barrels for water conservation. Each 55 gallon rain barrel save approximately 1,000 gallons of water. Benefits of rain barrels are providing your own water source in times of drought or water restrictions. Rain barrels can also help in reducing run-off pollution. Based on the benefits of the rain barrels, our students will use them to water perennials and annual plants in our Reading Garden; additionally, to water vegetable plants in our school's future community vegetable garden. We spread our conservation of water into our community by donating several water barrels to the town of Willards to use to water plants. In the photo below, the students delivered the rain barrel to the President of Willards Town Council Steve Warren and his secretary Mrs. Smith. March 30, 2016, Kindergarten and First Grade students painted and used rain barrels for water conservation. One rain barrel was placed at Willards Town Hall. ​During May of 2016, First Grade students traveled to Assateague on an environmental exploration. During this visit, groups of students inspected the beach and removed trash, preventing it from entering the Atlantic Ocean and Assawoman Bay. The students learned that sea turtles, sea birds, fish and marine mammals die each year because they eat, are suffocated, or entangled in plastic trash. Students disposed of this trash in a safe way where it would not re-enter the environment. 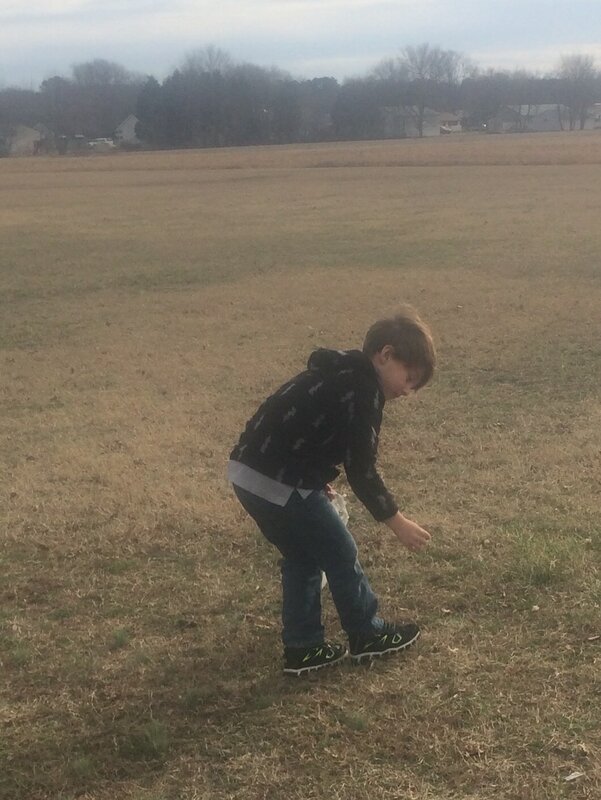 While at school, students are also actively engaged in preventing trash from entering the environment when they pick up trash on the playground and school property. This prevents the trash from entering the many water ways around our school that then empty into the Pocomoke Sound and Chesapeake Bay. This will be an ongoing occurrence so that these first grade students will make life long green choices, potentially changing the habits of their families in our community. 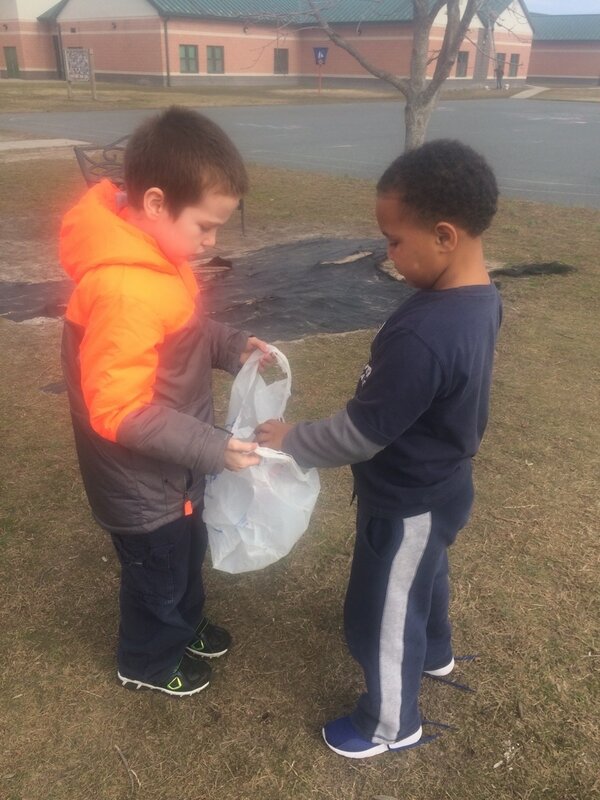 May 2016, First Grade students traveled to Assateague on an environmental exploration where students inspected the beach and removed trash, preventing it from entering the Atlantic Ocean. October 2016, First Grade students discussed ways to make life long green choices at home and in school. November 2016, in an effort to keep our school grounds clean, First Grade students participate in regular litter clean up days. Employees of the Paleo Water Treatment Plant met with second and third grade students on March 7, 2017. During the presentation, students learned about the water cycle, the process for treating water and water conservation. Students watched first hand an experiment where hazardous materials were released into the ground on a model showing the substances entering into the ground water. Students wore various protective clothing to demonstrate the safety precautions taken during the water treatment process. Students completed water conservation activities that were included in the informational packets. Students then shared the information with other grade levels, as well as their family members. March 7, 2017, second and third grade students attended an presentation about the water cycle and water conservation. Students completed water conservation activities. Students then shared the information with other grade levels, as well as their family members.